The ever-controversial Friedrich Nietzsche once wrote, “All things are subject to interpretation; whichever interpretation prevails at a given time is a function of power and not truth.” He very well could have been writing about the role of perception in consumer behavior because sometimes consumers see and perceive what they want and sometimes they’re guided to that result by shrewd marketing. Either way, understanding how consumers perceive and interpret things is critical in business today, and those who do it best tend to be those who profit the most. As a consumer, perception becomes shaped by advertising, word of mouth, past experiences, social media, pricing, quality and customer service. Through these efforts, brands can redefine themselves as not just a product but also as a part of the consumer's lifestyle choices. 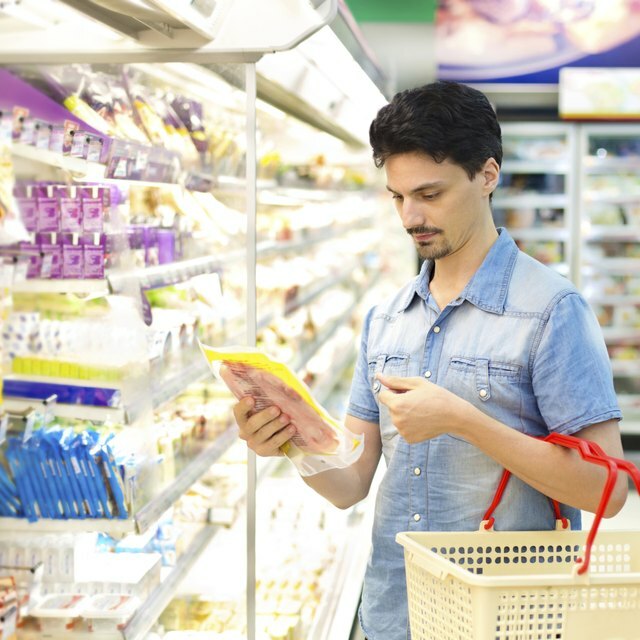 Consumers make choices based on price, need, opportunity, packaging, brand ethics and more. Shifting how consumers perceive these things can dramatically impact whether they purchase any given brand and why. If consumers perceive that a product or a brand is a bad choice, whether it’s based on ethos, quality or price, then it really doesn’t matter if it actually is a bad choice because customer perception dictates consumer action, and that action becomes reality. “If you want to win the heart of a person, first win the perception.” Those are the wise words of author Santosh Avvannavar, and it’s true for brands, too. If brands can create a public perception that their product is high quality, their prices are fair, their service is responsible and attentive and that the brand stands behind what they do, they'll gain more customers and enjoy great loyalty. It’s that simple – and that hard. Pricing: Establishing the right price for a product is a huge factor in how the public perceives a brand. Consumers want to save money, yes, but if a product is priced too low, it can be perceived as “cheap” and consumers may question what’s wrong with it – were corners cut, is quality lacking, why is it being sold at such a crazy price? Pricing is an art, not a science. Too low, the public gets suspicious; too high, the public resents the brand. Quality: This is a no-brainer; bad quality makes consumers angry. End of story. Quality is key to success or failure, and if a brand starts selling products that don’t live up to their past reputation, they won’t just lose sales, they’ll lose trust and damage their reputation – things that can take years to rebuild. Packaging: How products are packaged definitely impacts consumer perception; look at the first-generation iPod through to the iPhones. The look defined the user experience, but then the packaging clinched how unique it was. Just opening the box felt amazing – high-quality cardboard, carefully packaged, a beautifully printed user manual on heavy-gauge paper. Soon iPod, then iPhone, took over the device market around the world. Brand Reputation/History: Having a good reputation can take years to build, but losing it can happen overnight. One of the companies considered to have among the world’s best reputations right now is Netflix, whose brand soared after they sacrificed one of their most successful series by killing off the character of Frank Underwood in "House of Cards" after disturbing sexual assault allegations were made against Kevin Spacey. Responsibility and Ethics: Responsibility, environmental practices and political allegiances can all define how companies are perceived. Just ask Nike, whose Colin Kaepernick sponsorships and other social justice stances have made buying Nike a political act that transcends consumerism. How companies behave on the world stage matters to the bottom line. Another example is Patagonia, the outdoor clothing company, who has taken strong political stances on protecting parklands in North America and through establishing parks worldwide, like in buying thousands of square miles of land to make parks in its namesake region Patagonia. Great marketing and brand messaging understand what drives perception and try to skew it in a way that benefits a brand. Music in commercials is a perfect example. The right song can connect a product to a feeling, a lifestyle, a social cause and so much more, creating a subconscious or even conscious association between all of those things and the brand. The importance of consumer perception in marketing can't be overstated. While more is known about the psychology of selling and perception than ever before, commercials of the 1980s, like drinking 7-Up as the first post-drought rain falls, the Dr. Pepper “Be a Pepper” campaign and the Foster's beer “It’s what’s inside that counts” ads are all part of when beverage campaigns took adverting to the next level. They made beverage choice resonate with the idea of choosing a lifestyle, of being yourself, of living life on your terms and not society's – a tall order for a can of soda, but it worked because it created momentum in the coveted 18- to 34-year-old consumer demographic. Similarly, Dove beauty and skin products launched one of the greatest advertising campaigns ever in shaping consumer perception. Their “Campaign for Real Beauty” began in 2004 after their researchers traveled to 10 countries, talking to 3,000 women and learning that only 2 percent felt beautiful. The campaign highlighted how individuality was beautiful, and in doing so, Dove became more than just a beauty product, it became a lifestyle choice. In buying Dove, some women felt they were supporting a kinder, gentler company that sought to banish body image issues. The good news about perception is that most brands and companies are perceived as being somewhat neutral. The bad news is that no one gets an overwhelming urge to be loyal to a neutral experience. Cohesive Identity: Whatever your identity is, be sure it's the same across all channels. Think in terms of logo, brand voice, typography, images and colors. Have a cohesive idea of what the branding should look and sound like, then get behind that across all channels of advertising, PR and social media. Strong Web Presence: Many companies, particularly restaurants and other food services, are giving up control over their brand by forsaking a website in trade for a Facebook page. Owning your own identity and creating a visual web domain is as important as having a social media presence. By having an attentive, clear, easily navigated website and accessible customer service through both social media and possibly helpful bots on your branded site, consumers will feel like you value their experience throughout all stages of business. Improve Customer Service: The easier you make it for consumers to contact you, ask questions and get information, the more likely you are to change their perception of how loyal your company is to customers and how much you value their experience. A majority of today’s customers now say they will pay more for brands that have attentive, fast, easy customer service, and an equal majority say they'll buy from a brand again if they have great, quick service. This is, in fact, the best and fastest way to improve consumer perception of your brand.